With October comes Pet Obesity Awareness Day, and an important reminder that a healthy weight helps ensure a healthy pet. Did you know that over half of cat and dog owners give their pet food if they beg for it? And that almost a quarter of pet owners sometimes overfeed their pet just to keep him or her happy? 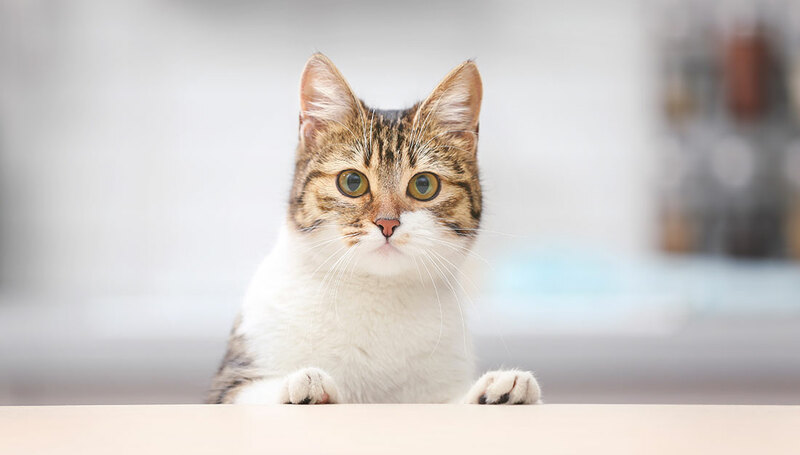 Those are just two worrisome findings of an international study announced earlier this year by Royal Canin, the Waltham Centre for Pet Nutrition, and the University of Liverpool. 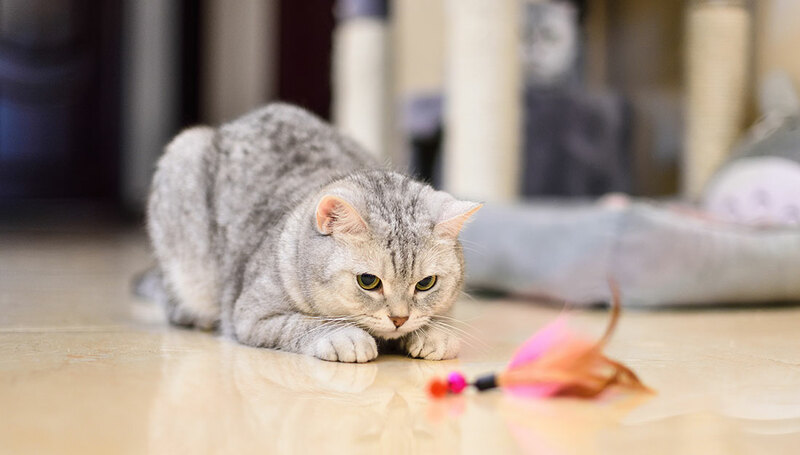 And it’s a significant problem when you consider that the health risks of pet obesity include arthritis, diabetes and cardiovascular problems. Here’s a helpful primer about the obesity epidemic for U.S. dogs and cats and how to tell if your own pet is overweight. 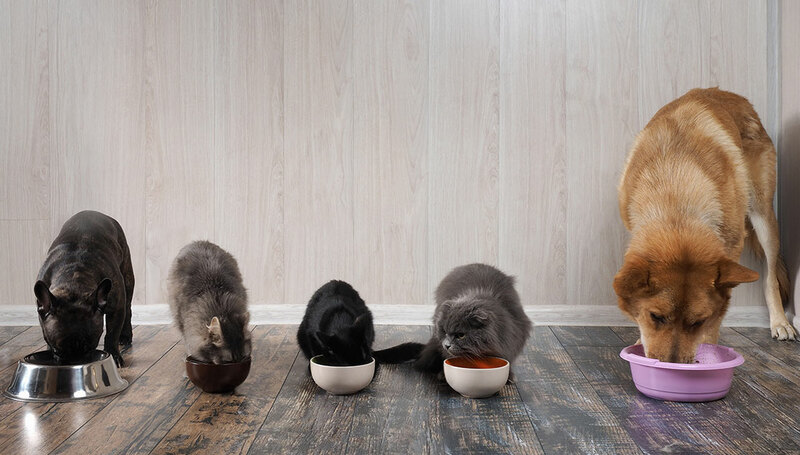 “Free feeding” – the practice of keeping your pet’s bowl full at all times – might seem like a good option if your pet doesn’t typically overeat. But it can also lead to overeating and pet obesity – especially if your pet is bored or not getting a lot of exercise. 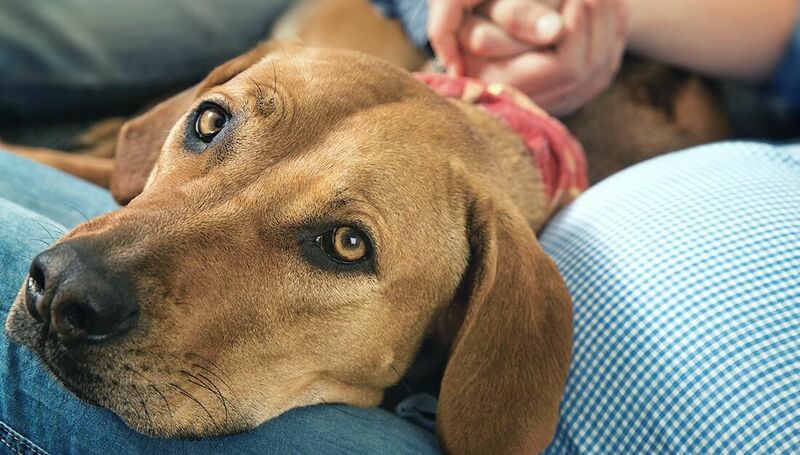 As a pet owner, you can help keep your pet healthy by monitoring what they eat. Teach family and friends not to give your pet table scraps and to limit pet treats. 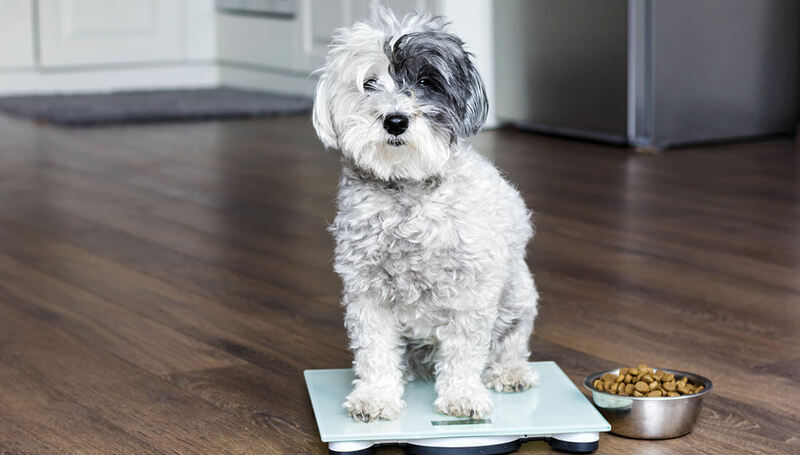 Start keeping a record of your pet’s weight. If possible, weigh him/her once a week. To keep your dog or cat from begging for food, feed him or her before you have your own meals. Check this post from our PEDIGREE® brand for more tips for dogs, and this post from VCA Animal Hospitals for cat tips. Like people, pets benefit from a healthy diet. Learn about choosing the right diet for your dog or cat, and determining the right portion, with the BANFIELD® Nutrition Guide. It will help you customize a nutrition plan for your pet based on breed, age, health conditions and other key factors. 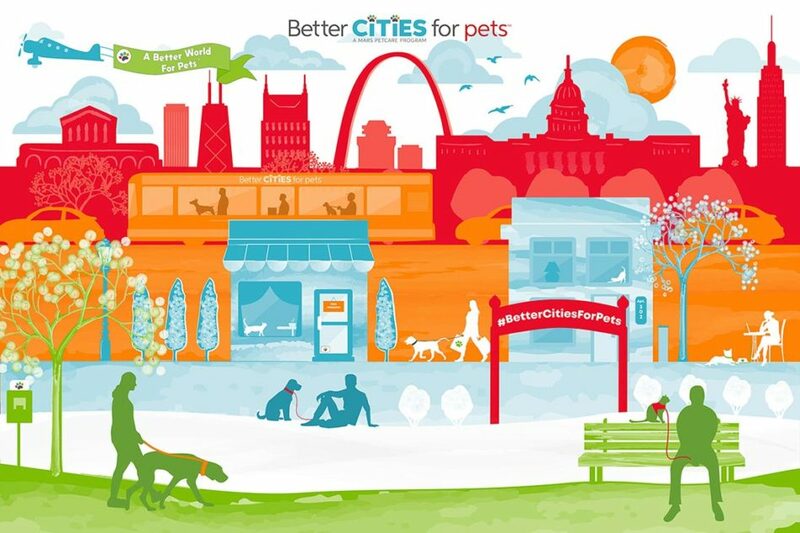 Activity is key to keeping your pet fit. Give cats places to climb and play with them for at least 15 minutes a day. While dogs may get some exercise benefits from running around the yard, a daily walk will help keep their weight in the healthy range. Plus, it’s good exercise for you, too! 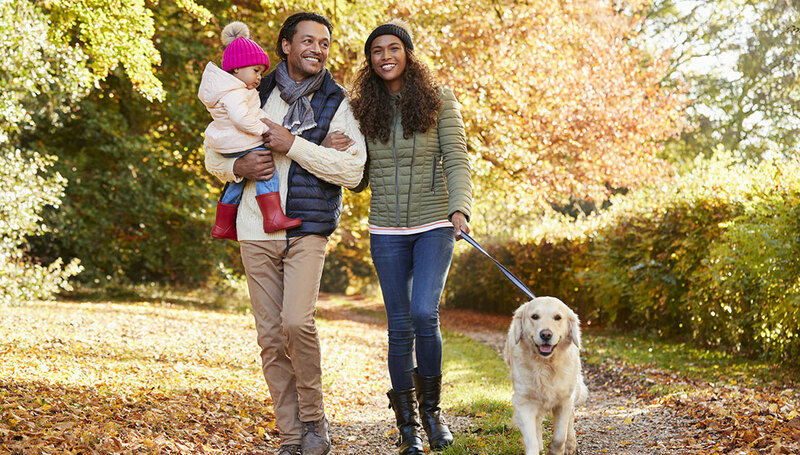 Find out more about the benefits of walking your dog in this post. Get your vet’s approval before starting a new walking regime, and make sure you have the right equipment. Pets should always be walked on a leash. Consider bringing a fetch toy to increase the activity along your walk. Check out more helpful tips here from our ROYAL CANIN™ brand. All dogs don’t enjoy a strenuous workout, but some love to run. If you’re considering making your pet a running partner, talk with your vet first. 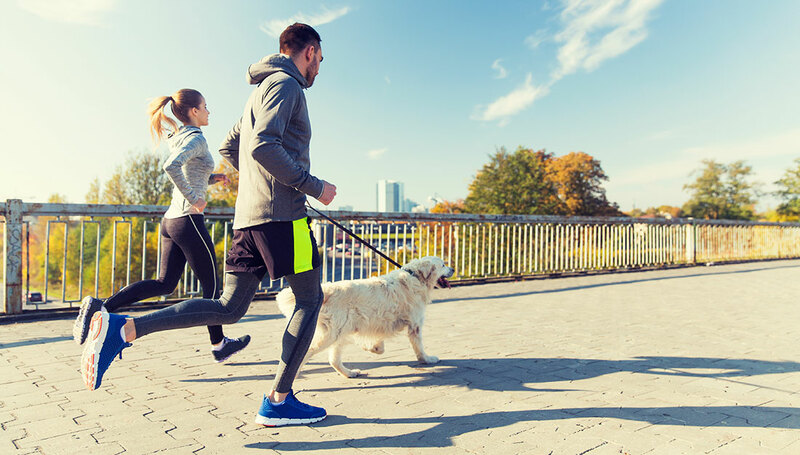 The American Veterinary Medical Association recommends keeping a dog’s breed in mind when considering a run. And, of course, be sure to bring lots of water along since dogs need more water than people do. Boredom leads to inactivity. It can also make your pet overeat. Look for opportunities to engage your dog or cat in activities. Make a point of playing with them often. 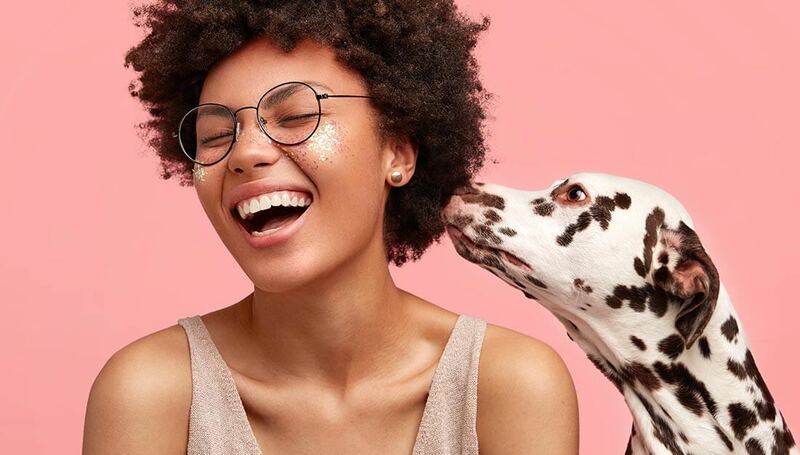 Games like Fetch and Hide and Seek are fun and give pets healthy mental and physical stimulation, says our WHISTLE™ brand. Plus, be sure to reward your pet responsibly. Treats are great! Just follow package instructions so you don’t overdo it. As always, if you have any concerns or questions regarding pet obesity, your pet’s weight or general health, be sure to talk with your veterinarian. Learn a pet health tip you didn’t know, or have another one to offer? Please share on social media – we’d love to hear from you! We’re @MarsPetcareUS.